Parents will probably like this Motorola monitor. The Motorola MBP36 offers better than average video quality, tested relatively well for range distance, and is easy to use. With a brand name most people trust and history of making quality products, it might feel like a natural choice for some parents to make. However, 6 other products scored higher in our review, and 1 tied. All of the close competition had better or comparable scores for video (a metric we feel is very important to this category), offered better sound quality, and longer battery life. Given these elements it makes it hard to put this monitor on a pedestal. Which monitor parents choose will likely depend on what features or metrics are most important to them, but we feel pretty confident that the other options have more to offer, and some even sport a lower list price. All of this makes the Motorola a hard monitor to recommend. Motorola has come out with a new version of the MBP36 called the MBP36S. The new version is a minor revision which uses the same 3.5" screen size and 2.4 GHz FHSS technology. What's new is a picture-in-picture viewing option. If you have multiple cameras (sold separately), you can view them all simultaneously on one split screen or a timed auto-switch from one room to another. The Motorola MBP36 video monitor features a 3.5 inch color screen for easy viewing of little ones, with up to a 200 meter range depending on obstacles and other electronics. It has automatic infrared night vision with adjustable brightness, video pan/tilt and zoom with remote or manually, room temperature monitoring, and 5 pre-recorded lullabies controlled from the parent unit. It offers two way communication with the touch of a button. The parent unit has LED sound activated lights to indicate when baby is crying even with the volume off. Unit works with up to 4 cameras (sold separately), and can be viewed on a quad screen, or scan option that changes between cameras at a timed interval. This unit includes the camera, parent unit, rechargeable battery, power cords, and 1 year warranty. The manufacturer range with clear line of site is stated as 590 feet between camera and parent unit. In our tests we could only keep a connection up to 572 feet, which is close, but no cigar. This range is without obstacles and in clear line of sight. It is not the kind of range parents can expect in their homes where obstacles and interference abound. The indoor range for this unit in our tests is actually closer to 80 feet with 5 walls in the between. This is the top range for the dedicated products, a distance the Motorola shared with the Infant Optics DXR-8. The average distance for the dedicated products is closer to 62 feet and 4 walls. The unit with the shortest range is the Foscam, which has a range distance of 55 feet and 3 walls. This is probably not enough range for most home applications, but given its poor performance in our tests for other metrics, its probably not a monitor you will consider purchasing anyway. If range is a problem in your home, due to distance or a large number of obstacles, then you might want to consider one of the Wi-Fi models that is only limited by your internet connectivity and how far your router signal extends. These kinds of units offer a monitoring device for parents who might not have had other options in the past. The Motorola has one of the lowest performance scores in the whole group for sound with a 4 of 10, with Levana Ovia being the only exception with a score of 3. The Wifi Baby 3.0 received a 0 for this metric, but this is a reflection of lack of performance overall, not a true reflection of its sound capabilities. While the Motorola might have done some things well, sound is not one of those things. A video product should offer really good video (or what is the point), but it should not come at the expense of good sound. Sound should retain its quality, because without good sound parents might not be alerted to a crying baby or know to look at the monitor for more information. Its maximum decibel level is 88db, one of the lowest in the group. The Nest Cam and the Levana Ovia had lower max volume levels with 83db. Withings Smart Baby also had a lower volume with 84 db. The lower volume for the Motorola meant it had lower amplification on max volume. The quality of sound isn't as bright sounding as some of the others, and is a little clearer than some of the competition, but it does have kind of an echo. The unit never went into silent mode and had a white noise level between 48-49 db when no noise was happening. This means it emits its own white noise based on the monitor itself or the surrounding white noise of the house itself. This product does not have any kind of sound sensitivity adjustment feature, which seems like an oversight and cost it points for sound. Sound sensitivity should help the unit obtain a silent state so parents aren't being kept awake by a noisy monitor. If the reason to get a monitor is to increase chances of getting a good nights rest, then having a monitor that makes too much noise might not fit the bill. Whatever this product lacked for sound it made up for by offering better video than most of the competition. With a score of 6 of 10 it performed better in our tests than 6 of the other products. For dedicated monitors only the Summer Infant Clear Sight scored higher with an 7. Both the Nest Cam and Withings Smart Baby both scored 8s. The lowest scoring product was the Foscam FBM3501 which earned a 3 in our performance tests for video. For clarity we could read 2 lines on the eye chart in the crib. This is better than some of the products, but not as good as a couple that had 3 lines of clarity. The lines we could read got a little better with the zoom feature, even if the zoom feature is harder to use. The zoom is neither easy or quick to access because it is buried in a menu. It would have scored higher for video if the zoom feature had been one parents could operate with 1 button. For a monitor with a large parent unit and lots of buttons on the face, it seems like a design flaw not to include the one button parents will likely use most often. For color this product excelled, offering a color image that most closely matched the actual color chart in baby's crib. For dedicated monitors only the Infant Optics DXR-8 matched this color score with a 9 of 10. The only monitors with perfect 10s for color are the Nest Cam and the Withings Baby. It could be that these units scored slightly higher at least in part thanks to their parent units being higher quality technology like smartphones and tablets, both designed for higher quality video playback. 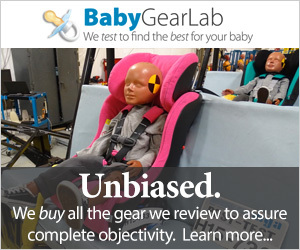 In order to really see baby, and the reality in the room, a monitor has to relay an image that is both clear and has accurate color representation. If it lacks either component, the image can be difficult to really see well. With both components as part of the image for the Motorola you can be sure to see the details of what is happening in baby's crib with just a glance. For night vision images, this monitor suffered a small set back, but still maintained a good score compared to the competition. With a score of 7, only 2 monitors came in higher with 1 other tying, this puts Motorola in the minority for night vision. Summer Infant had the highest score with a perfect 10. This monitor has a night image that is pretty bright and allowed for better images. Some of the details were lost, but overall it is still a better quality video than most of the others in this review. This parent unit has a viewing screen that will automatically go to sleep, which is a nice feature that helps parents sleep in a darker room. Unfortunately, it doesn't auto-wake when noise happens, but parents can turn to screen on by touching any button on the unit. This product is fairly easy to setup and use. The manual can seem a little daunting and feels larger than is necessary to provide information on its use. Parents will have to install the battery, which requires a screwdriver, but the camera and parent unit should automatically link. This means most parents should be able to set it up with no difficulty, even if they are technology challenged. The parent unit itself has nice large buttons that are easy to use, but it also has a menu system that is a little challenging. Not all of the features are a 1 button push, several of them require toggling through the menu to get to them. The zoom function alone required over 4 button pushes to use. This may not seem like a lot, but in actuality managing that feat in the middle of the night groggy with sleep is another story. In addition, it prolongs the amount of time it takes parents to clearly see baby and decide if they need to get up to assist, or can roll back over and rest. It seems like an unthoughtful design for a product that had good performance scores where it counted. Parents will be able to use this unit, and it won't take a lot of troubleshooting to figure out the menu folders, its just unfortunate that you will have to figure out something that should be straight forward and easy to operate. This monitor only earned a score of 5 of 10 for features. It is a relatively bare bones model that feels like it is giving you more, but it isn't the more that is truly useful. For example this unit lacks any kind of sound sensitivity feature or sound activation option that would help this monitor fall truly silent when in use, thereby allowing parents a better chance at getting a full nights sleep. Alternatively, it does offer an alarm function that can be set to go off every 2 hours up to 6 hours. We don't know about you, but unless there is a medical reason to wake baby every 2 hours, we say let sleeping babes sleep. In addition, if you did feel compelled to rise every 2 hours for whatever reason, most people already have multiple devices that offer alarm capabilities (namely an alarm clock or a smartphone). So while alarms check off a box on the features list, it isn't something most parents will use, and if they do, they probably won't for long. Alternatively being able to make a monitor silent, only reacting to actual baby sounds, is a priceless feature that can help ensure proper sleep for parents every night. Also, if parents eventually connect additional cameras to the unit (up to 4 cameras can be supported), then the white noise from each room will be relayed to the parent unit as the monitor scans from camera to camera. So even if parents manage to "get used to" the white noise emanating from the monitor, it is harder to get used to a white noise that levels every 3-10 seconds. This monitor also comes with a temperature indicator that tells parents what the temperature is in baby's room. This might come in handy for families that use wood stoves or space heaters, but for the most part it is a feature parents and babies can live without. It does offer 2 way talk to baby communication capabilities, which is nice, and it has lullabies parents can remotely start from the parent unit. The parent unit has a 3.5 inch viewing screen that is larger than most of the competition. It comes with a stable kickstand, but no other features for mounting or transporting it. The parent unit can also remotely operate the camera for pan/tilt, and has 1x digital zoom. The camera itself has infrared LEDs for automatic night vision and it boasts 3 megapixels resolution. The Withings Smart Baby scored a 10 in this metric. The highest scoring dedicated monitor earned just 6 of 10, placing the Motorola in with lots of company. The worst score for features was earned by the Philips Avent Digital and the Wifi Baby 3.0, both of which lack most of the features parents are looking for. The average score for the monitors in the feature metric is a 6. This product did not have the best EMF readings. While all the products had a reading of 6+ with the reader within 6 inches of the machines, most dropped by half at a 3 foot distance, and continued to drop somewhat exponentially as the distance grew. The Motorola followed this pattern in the beginning, but started to have diminishing returns as the distance grew. For the 3 foot reading it had a value of 2.91, but for 6 feet away it only dropped to 2.21. This unit has a night vision capability of about 10-12 feet, so that reading would drop if the camera is positioned as far from baby as possible to still get good night images. However, baby will still be exposed to more EMF with this unit than some of the others. And while we aren't really sure what effects EMF has on developing systems, there is preliminary and anecdotal evidence that it might have some effect on it, so for this reason we think it is best to limit exposure when you can just to err on the side of caution. The dedicated monitors with the lowest readings are the Philips Avent SCD603/10 and the Levana Ayden with readings of 1.29 at 6 feet. For a Wi-Fi capable monitor, the Nest Cam, got a very impressive reading of 0.78. However, this value was outdone by a Ethernet connected Withings Smart Baby that had a reading of essentially 0, or no more than the ambient EMF in the room. Unfortunately, in order to use the Withings in this manner, parents will need either a very long cable to go from camera to router (possibly dangerous within baby's reach), or they will need an electricians help in installing a connection directly in baby's room. This monitor had a battery life of 5 hours in our tests. This duration isn't really great given that several lasted longer and only 4 had a smaller battery life. The manufacturer does not make claims on how long the battery will last, and it could be that they know 5 hours is nothing to write home about. The monitors with the longest battery life belonged to the Wi-Fi models that use a personal device for their parent units. Just how long the parent unit will last depends on the device and if other applications are running on it, but for the most part they outlasted every dedicated monitor in the review. The longest battery life for the dedicated monitors is the Levana Ayden with a life of 9.5 hours. This is long enough to make it overnight without losing contact with baby. The 5 hours of the Motorola will definitely get most parents through nap time, but it isn't going to make it all night long should parents not be near an outlet. However, it isn't the worst in the group with the Uniden Lullaboo Guardian only lasting 3.5 hours. That monitor won't even get parents through a long nap. The best application for this monitor might be for parents who are drawn to the Motorola name and aren't interested in a Wi-Fi monitor. However, with so many other monitors scoring higher and some with the sound activation feature, it is hard to seriously consider the Motorola as on option. Even the Lorex Sweet Peep BB2411, which has a higher overall score and sound activation, is cheaper and a better value than this monitor even if the name is something parents know. With a list price of $250, and very few features we feel are useful, it is hard to find value in this product. Even if it had more features, the price would likely still give us pause. Most of the monitors in our review have a list price for less and many offered more features than the Motorola and/or better video scores. The Nest Cam has a list price of $200 and has more features and better video. Of course parents have to also own or purchase a personal device for the parent unit, but it does work with smartphones and tablet, something lots of people already own. For dedicated monitors the Lorex Sweet Peep has a significantly lower price tag at $120 and it has sound activation. All in all it is hard to say this is a good value for what it offers and how it stacks up to the competition. The Motorola MBP36 is a nice enough monitor that tied with the Summer Infant Clear Sight in our review. It performed well in our tests for video quality and range, and it made a valiant effort in battery life and ease of use. This monitor struggled to offer good sound and sound functions, and it lacked the ability to go silent when baby is silent. This is kind of a non-starter for us. The reason most parents get a monitor is to increase potential for sleeping by decreasing concerns over what is happening with baby. If a monitor is too loud with excessive white noise when baby is in a "sleeping" state, then parents might have trouble falling asleep to it. So while the Motorola did some things right, it forgot about the needs of the actual user. It has no sound sensitivity adjustment, it has a convoluted zoom operation, and it doesn't offer an automatic screen wake up with baby's cries. All of this makes it a monitor we aren't wild about. It definitely isn't the worst thing going, it just isn't the most bang for the buck or the monitor we would personally choose. Motorola won our Editors' Choice award in 2012 and you might be asking yourself how we could love it in 2012, and not so much this year. Unfortunately for Motorola, the market and technology for video products for baby is on the rise. There are so many new options available that it isn't the time to rest on their laurels, and that is what it feels like they did with this monitor. With the advancement in Wi-Fi monitors becoming significantly more reliable, and other brands producing comparable monitors for less (that include sound activation) it makes for a marketplace where Motorola is no longer the top dog. Its time for this brand to step up and make improvements if they want to continue to truly compete in this category. Amazon $111.72 - 55% off!